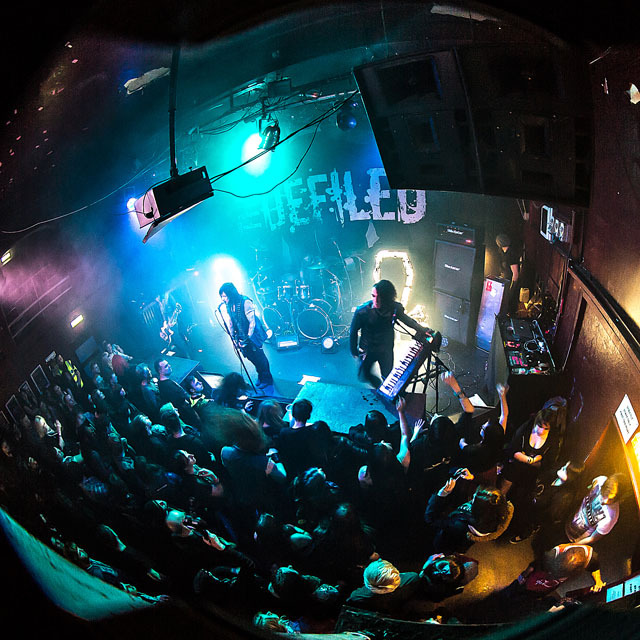 Share the post "Gig review: THE DEFILED, AVATAR – The Sugarmill, Stoke, 28 November 2014"
Classed as a double header tour, The Defiled and Avatar hit the UK and mainland Europe for an extensive tour with The Defiled headlining the UK dates and Avatar in Europe. 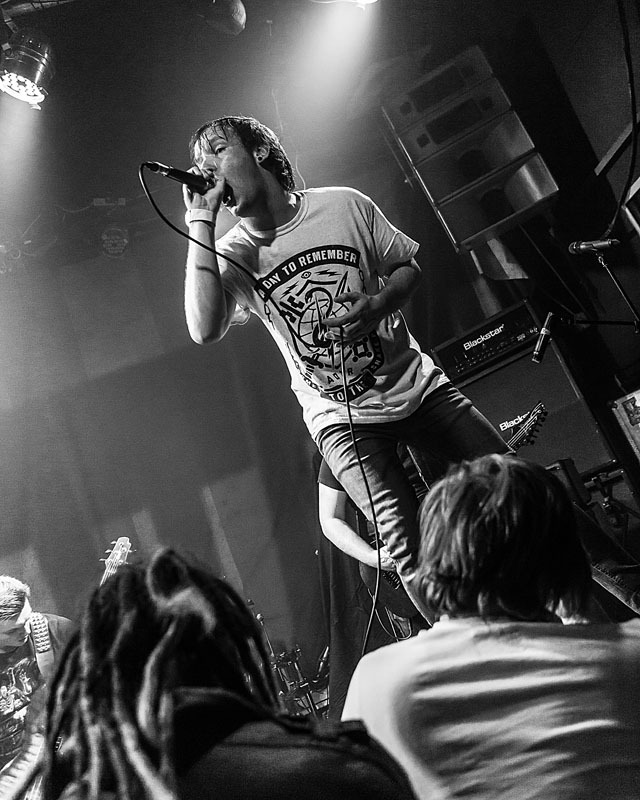 Inscriptions describe themselves as metalcore and have a great vibe about them with their stage presence – enhanced by the swelled local crowd. Metalcore is hard and heavy and these guys can really kick it out, tight bass and kicking drums are matched by the brutal vocals from Steve Clowes. I say vocals as only those in the know actually recognise the words as most of it is encompassed within the growling delivery. Only when the vocals are flipped on tracks like ‘Open Your Eyes’ can you make them out; but this is metalcore and it works well. ‘Blind Eyes’, although hard hitting is also quite melodic at times and shows the depth of this genre very well. With only a short 5 track set tonight they ended with the title track from the 2014 EP Hollow and have gone down well with not only their local fans but also those here for the main bands. Killus kick off with ‘Crush Our Minds’ and with track titles like ‘Holy Bible’ I can see why the album and show get an explicit rating. It’s an energetic full-on set that sees the front men all over the stage, all with manic face paint and eye lenses and certainly looking the part. Vocalist Supersixx, stands high above the crowd on the podium and makes the occasional 10ft jump in the air whilst bassist Premutoxx prowls the stage. Most of the tracks are from their last release ‘Feel The Monster’ and it was a great set overall. We saw Avatar last year at Hammerfest and were really impressed with their theatrics and stage style which enhanced the music rather than enveloped it. Currently touring their fifth album ‘Hail The Apocalypse’ which makes up most of the setlist as well as a few tracks from The Black Waltz. 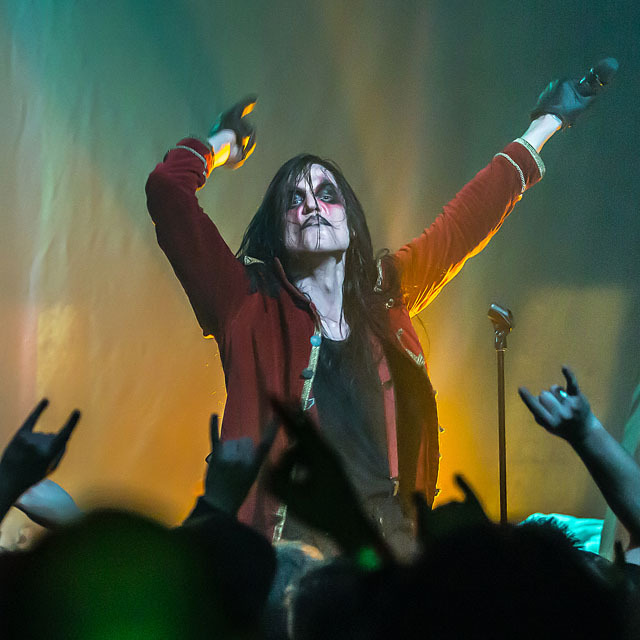 The theatrics start from the off as the lights dim and each band member walks on to stage and stands there head hung down; as the first eerie chords of ‘Hail The Apocalypse’ ring out vocalist/Ringmaster Johannes strolls onto the stage and the band erupt into synchronized windmilling. Johannes is every part the ringmaster as he keeps engaging the crowd. ‘Let It Burn’ could actually be one of their most radio friendly songs. The set ends with the slower quite melodic track ‘Tower’. Avatar seem to hit the right note with a great mix of theatrical shock and slightly industrial metal. 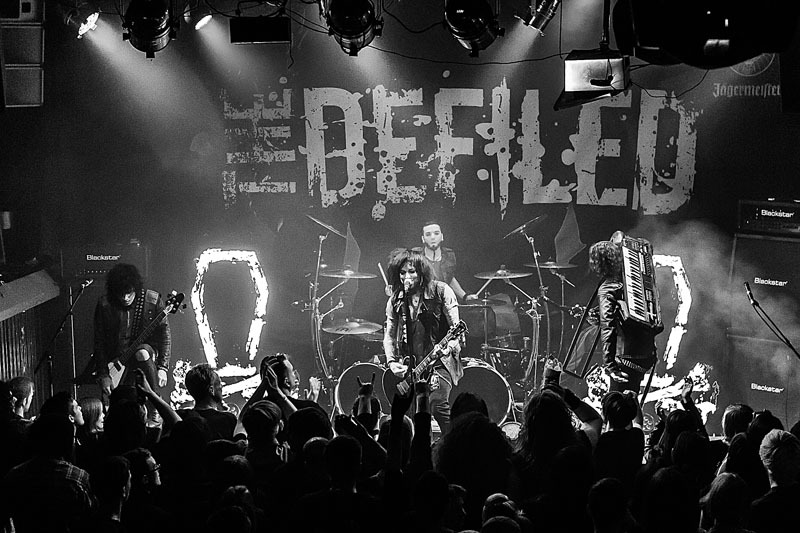 Final band of the night is the UK headliner, London-based The Defiled. Formed back in 2005 they have been hailed as the saviours of the UK metal scene by Kerrang! Even before the first track ‘Sleeper’ has finished they are calling for the crowd to make it a proper metal gig and get a circle pit going. The pace doesn’t slow down at all and the double beat drums are prominent right down to the last track ‘Call To Arms’. A different night of music for me, now where did I put that face paint? Defiled: As I Drown, The Mourning After, Black Death, Blood Sells, Unspoken, No Place Like Home, New Approach, 5 Minutes, Sleeper, Call To Arms. 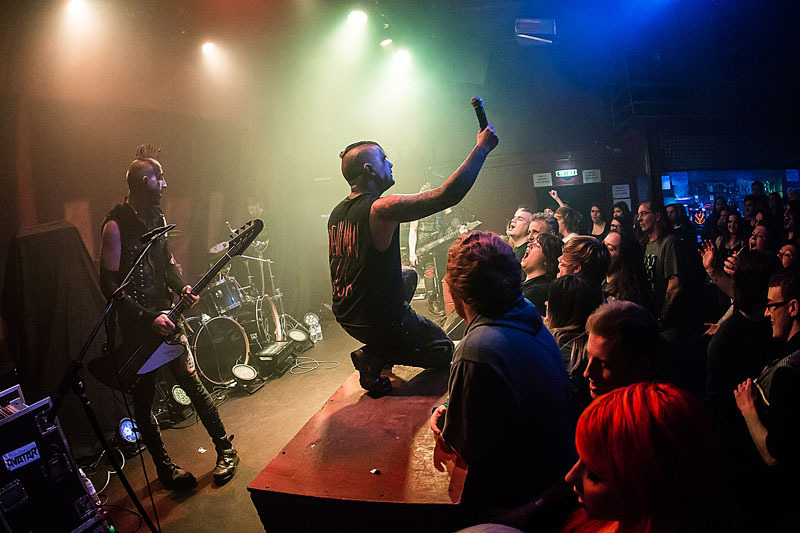 This entry was posted in All Posts, GIG REVIEWS and tagged 28 November 2014, Avatar, gig, Inscriptions, Killus, metal, metalcore, review, Stoke, The Defiled, The Sugarmill. Bookmark the permalink.